Senior care services can assist older adults with grocery shopping and meal preparation if they need to lose weight. Being obese later in life increases the risk for a variety of more serious health conditions including diabetes, arthritis, stroke and heart attack. Include oat bran: Studies have found that oat bran has a key ingredient of fiber, which means it helps people stay fuller for longer and avoid cravings throughout the day. Oat bran can be added to muffins, yogurt and smoothies. 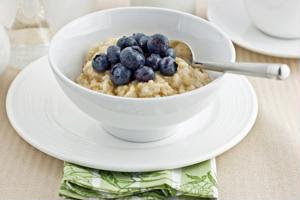 Oatmeal: A staple breakfast item is oatmeal, but research has shown that because of the fiber in this meal, people are less hungry after eating a bowl of oatmeal and feel more satisfied afterward.